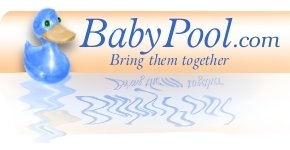 When the guests and participants first arrive at your babypool they will see the Baby Home Page. On the Baby Home Page you will find a menu on the left and below the menu where information and statistics of your babypool can be selected and viewed. To the right you will find the information for the selected menu item. 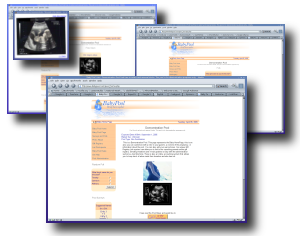 One of the menu items is the Baby Poll or Baby Survey page titled Surveys and Polls. From your baby pool administration section you can build a custom baby poll or baby survey for your participants to answer. For instance you can ask them what name they like best and then give them multiple names to choose from. Or you could ask who they think the baby will most resemble; Mom, Dad, Grandma or Grandpa. If you decide to add a baby poll or multiple baby polls to your baby pool a random baby poll will be selected and displayed on your baby pool homepage just below the menu. There is also a dedicated baby poll page for your participants to view all the baby polls and surveys you build and you are allowed as man baby polls as you wish.